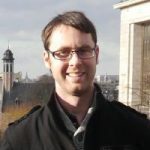 The programme for the E-Assessment in Mathematical Sciences (EAMS) conference has been released, with speakers from across the globe presenting the latest developments in the field and offering a unique opportunity to get hands-on with maths e-assessment systems, whether you are a user, a developer, or just interested! The conference takes place over 3 days at Newcastle University, between 28th and 30th August. Mohamad Jebara, CEO of the award-winning Australian platform MathSpace, will open the conference, focussing on the innovative ways that MathSpace adapts to learners. Other highlights of day one include longer talks by senior figures from Vretta and DigitalEd, both with origins in Canada, and updates from our 2016 keynote speakers, Christian Lawson-Perfect and Chris Sangwin, the lead developers of Numbas and STACK, respectively. EAMS 2018 will take place in the Boiler House at the centre of the Newcastle University campus. 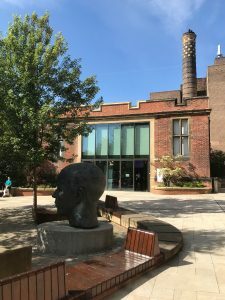 The conference takes place in Newcastle University’s brand new Boiler House venue, which will also host the conference dinner on the Wednesday night. The dinner is included in the registration fee, which is only £75. Registration is free for students and Newcastle University staff. You can register now on the EAMS website.